From left, Jace Freeman, Mary Grace Gibbons, and Caroline Gillem tallied up the total sales for the relief fund. 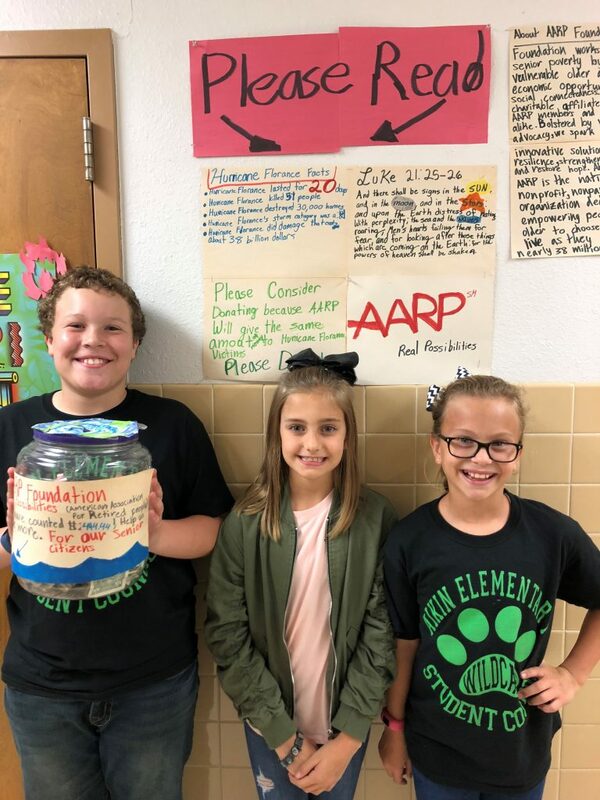 Aikin and Justiss Socrates 4th graders recently participated in a service project for Hurricane Florence relief that directly impacts the elderly in the Carolinas. 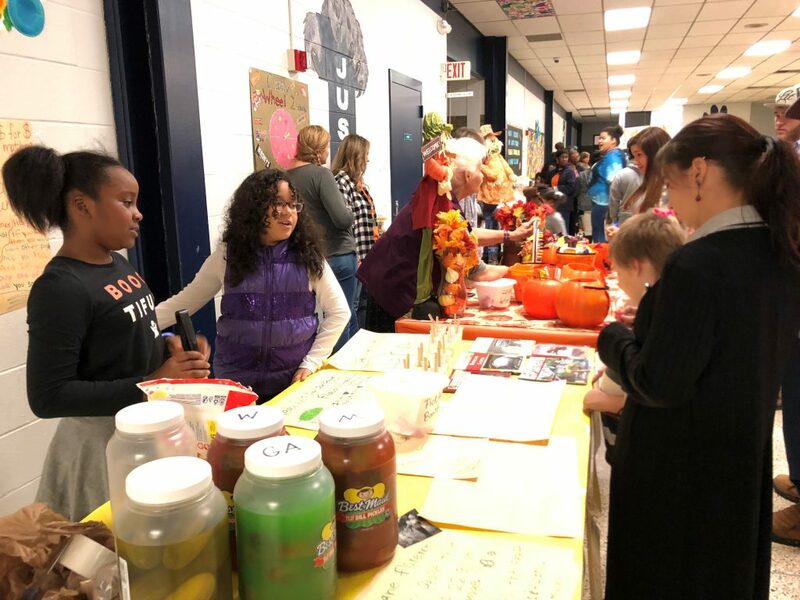 The students discovered the AARP Foundation was matching monetary donations so they hosted Fall Festival booths and collected $255 which will be matched for a total of $510 by AARP. Valeria Cervantes, Karina Leon, and Payton Dyckwork helped customers for hurricane relief. 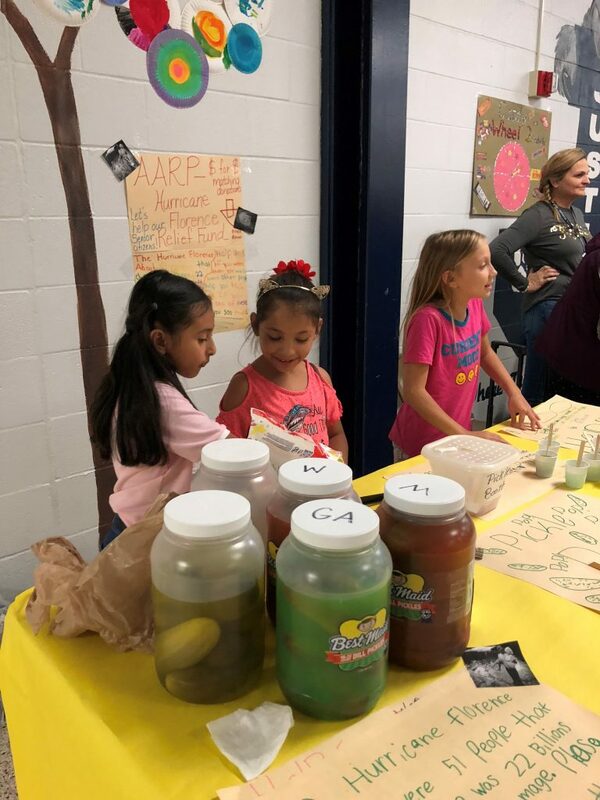 Khailyn Gray and Susanna Silva worked the booth to make sales for hurricane relief.